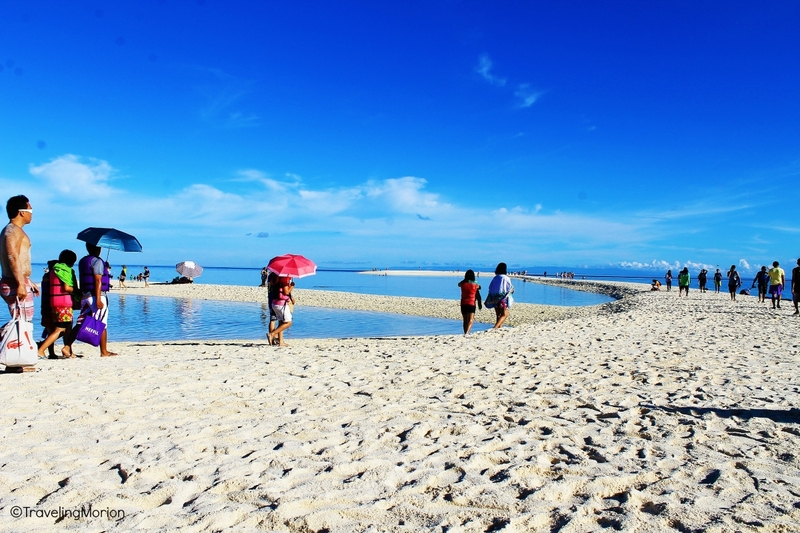 " Fine white sands, crystal clear blue waters, the amazing view of Mt. Hibok-hibok and Mt. Vulcan ... I Love You [naked] White Island!" 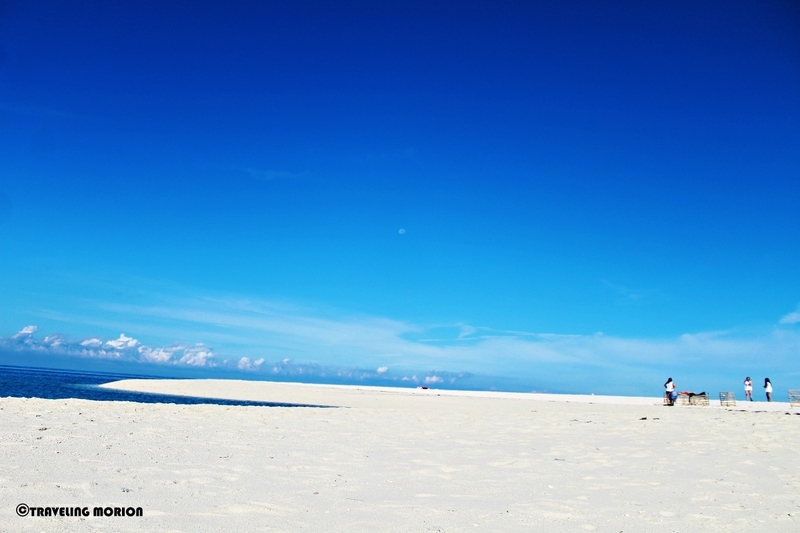 Even though summer is officially over, who said we can’t continue exploring the Philippines? After all, it’s More FUN in the Philippines! 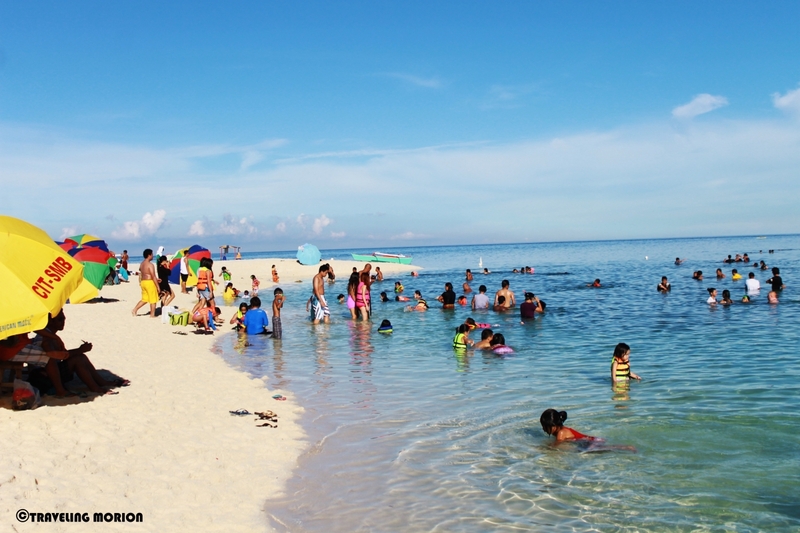 Don’t worry too much about the possibility of rain hampering a trip to Camiguin – there’s always a big chance that it won’t. 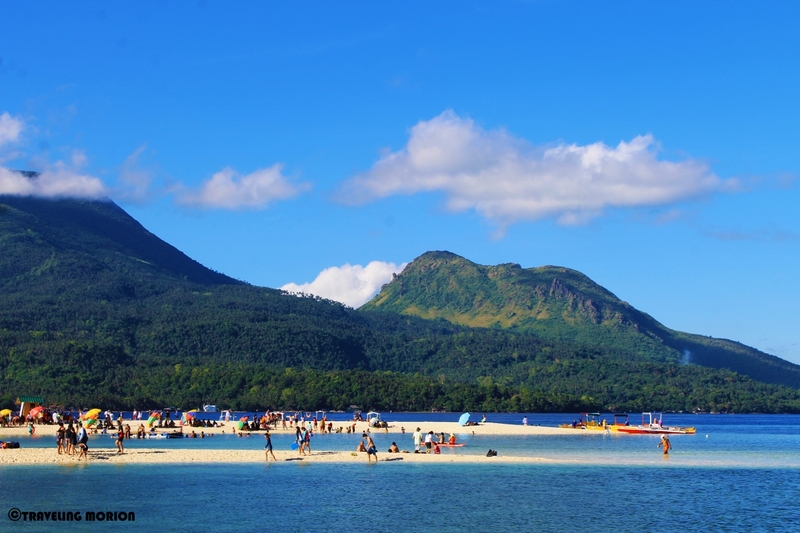 When in Camiguin Province, take a tour of as many tourist spots as you possibly can fit in your schedule. Sample the sweet lanzones fruits that the island is known for. Of course, you have to wait until the lanzones season to taste these delicious treats. There are lots of places to see in this small yet beautiful province, the second smallest in the country. Take time to visit the Sunken Cemetery. You can also explore Tuasan Falls and Katibawasan Falls or relax at springs such as Tangub Hot Spring, Sto. Niño Cold Springs and Bura Natural Soda Water Swimming Pool, and Ardent Hot Spring. You might also want to explore the capital, Mambajao. 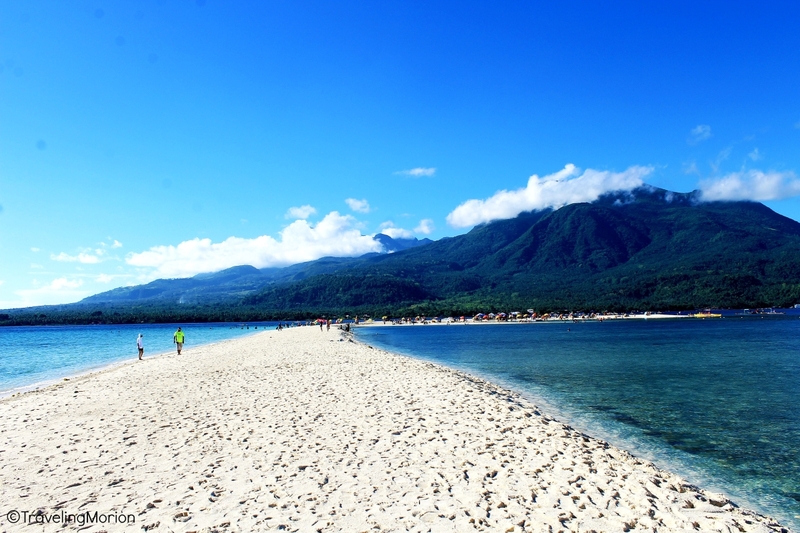 As an island itself, Camiguin has long stretches of beach for you to enjoy. It is also a volcanic island, so there are also volcanoes to explore. 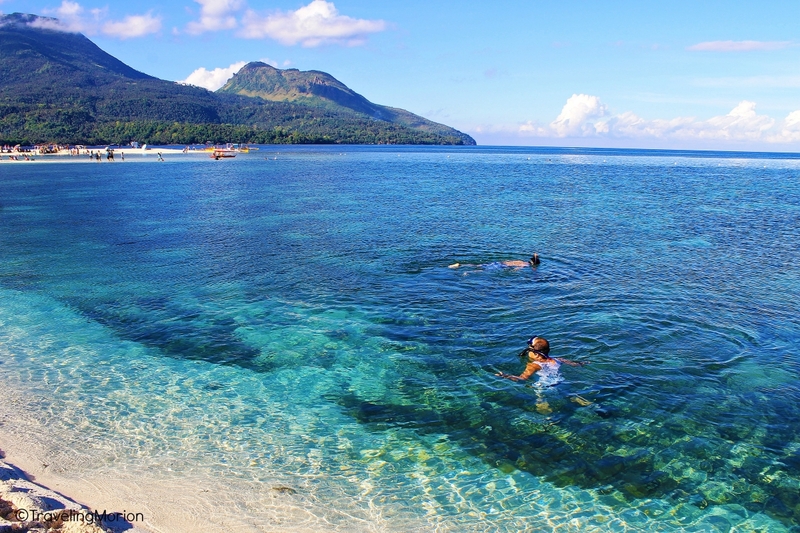 Still, if you really are looking for the best way to explore all parts of Camiguin, then a visit to its own sub-islands should be in your list of things to do. The province actually has two white islands, the White Island and Mantigue Island. Just some 2 kilometers from the coast of Agoho or Yumbing in Mambajao, a trip to White Island won’t take too much of your time. 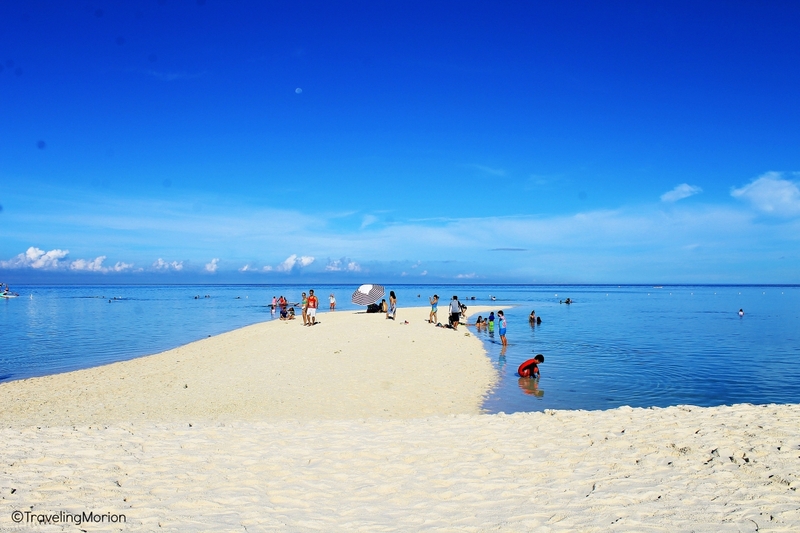 The short boat ride takes you to the lovely sand bar where no trees or any vegetation grows. 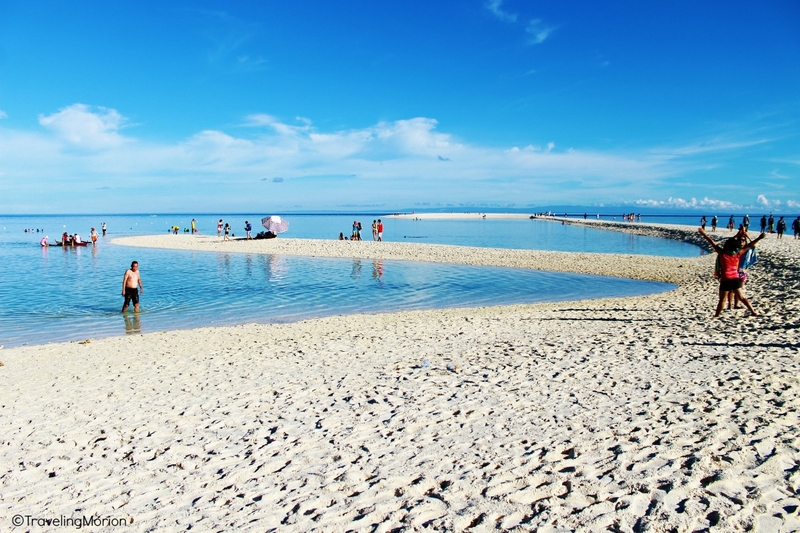 Thus, the perfect time to visit the island is during early morning or late afternoon but no later than 6:00 PM. Make sure to bring a bottle of sun block, especially if you are planning to stay for longer than an hour under the heat of the sun on this beautiful island or else you’ll surely have a serious case of sunburn. Of course, the jaunt won’t be complete without sampling the wonderful waters that hug this island, so have your swimsuits and snorkeling gear ready. The island is C-shaped during low tide but the sea partially covers the edges during the high tide, reducing it to an “I”. Still, no matter the tide, the island is great to behold. Take a swim in its refreshing waters teeming with a delightful array of tropical marine life. Snorkeling around the island is a wonderful experience. The fishes are unmindful of the swimmers, so you will surely have a great time as you come face to face with these beautiful creatures. There are also plenty of corals around the island. The waters are safe for swimming but, of course, you are advised not to go very far from the shore. Don’t worry because even the waters very near the coast are teeming with a plethora of colorful fish species. 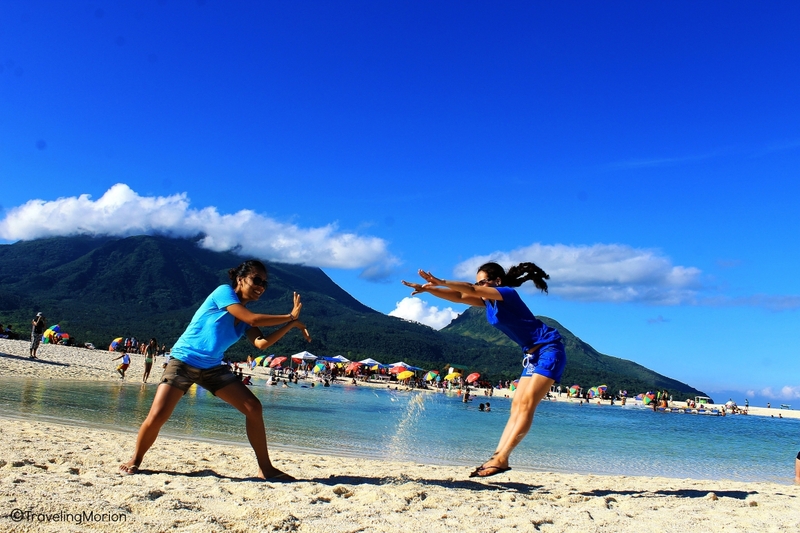 White Island also makes the perfect spot for taking a picture with Camiguin’s old Vulcan and Mt. Hibok-Hibok at the background. 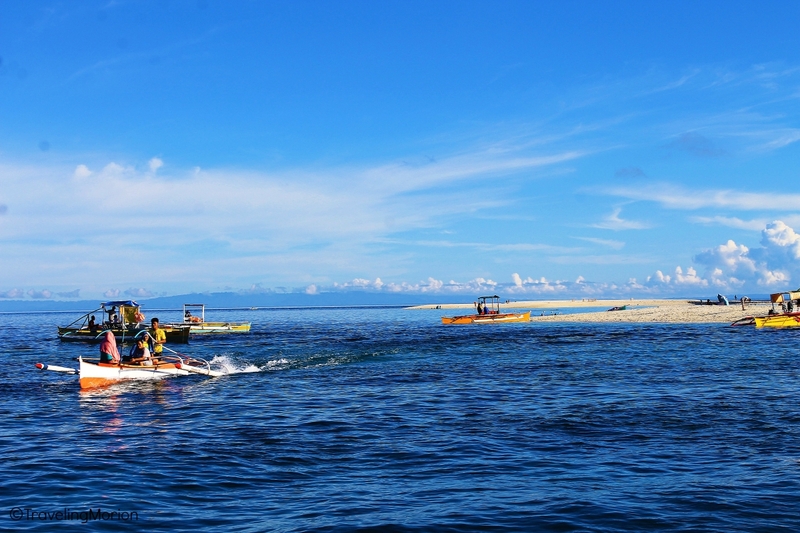 The boat station going to White Island is located in Barangay Agoho or Barangay Yumbing in Mambajao. The two Barangays are about 4 to 6 kilometers or more or less 10 minutes travel from the town proper of Mambajao. Boat rental is amounting to P450.00, good for 1-6 passengers (back and forth). There is a user’s fee of P20.00 per pax. Boat trip from the beach area/boat station in Barangay Yumbing or Barangay Agoho is more or less 10 minutes. 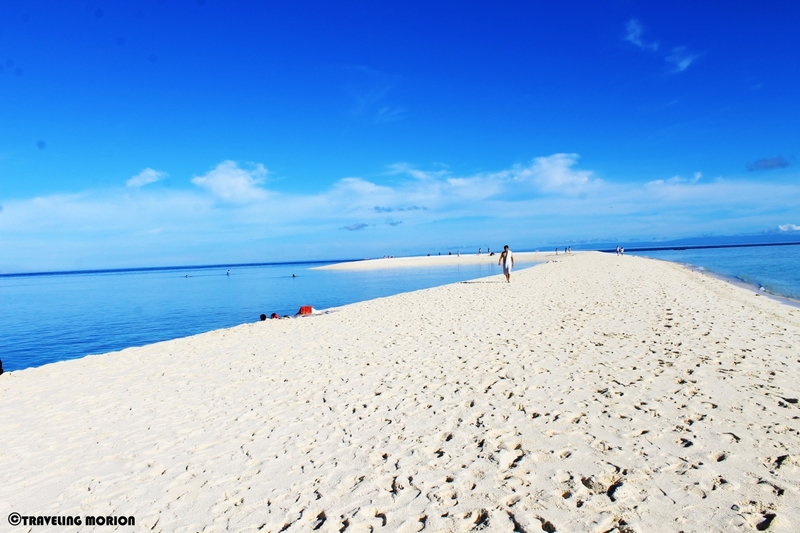 The best time to visit the island is from 5:30 am to 9:00 am as the heat of the sun is not too scorching. Don’t forget to bring sunblock! Food stalls are available in the island. 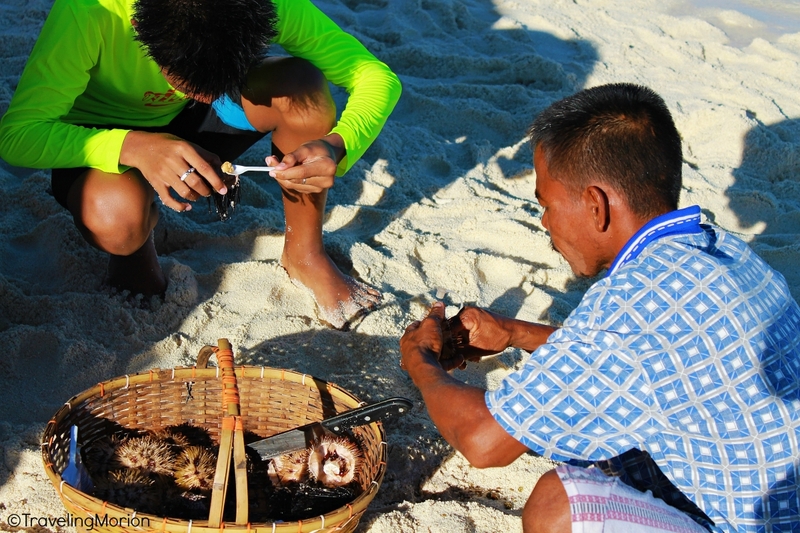 Eating Tuyom or Swaki (sea urchin) is a must try! The water is so pristine! I would love to go to the Phillipine sone day! 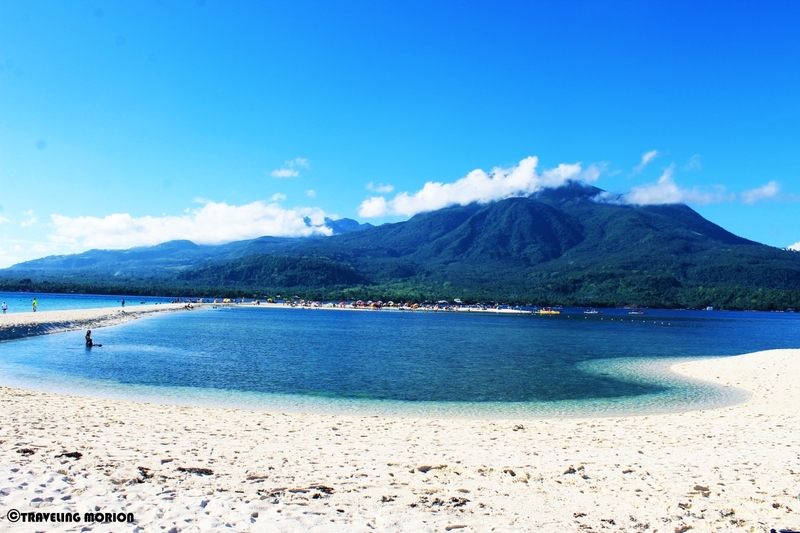 Camiguin is a paradise. The fusion of the blue skies and water and the white side is just a masterpiece. Nice pics, by the way. Very nice place to visit and your article could help. Oh I wish I could go there! That looks so beautiful! Such a great place and so amazing pictures.would love to visit there sometimes. Wow! I've never even heard of this place, and we've been to Philippines two times! Definitely looks like a good reason to make a third visit. How beautiful. I hope to travel to such a beautiful destination one day. I could live on a beach .